CFD Analysis | Computational Fluid Dynamics Analysis | FM Engineering Inc.
CFD is a modern day technique used to model and predict fluid flows. 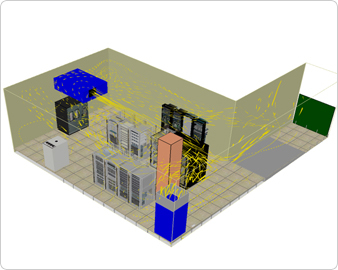 Using the latest software technology FM Engineering is able to supply its clients with an in-depth, thorough analysis of any facilities’ airflow. This includes air stream patterns, temperature measurements at various heights and areas, complete 3D modeling, worst case scenarios and much more. 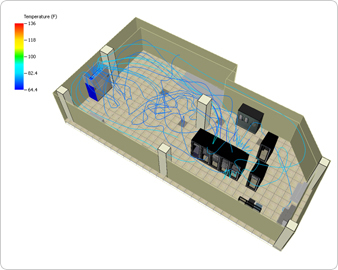 After we have completed a CFD analysis we can then begin discussing our recommended adjustments and evaluate the next steps to maximize room efficiency.